Lemon is used in many skin lightening recipes because of its natural bleaching properties. I am showing you to add few another natural ingredients with lemon, it will help you natural bleach to get white skin in few minutes of effort. 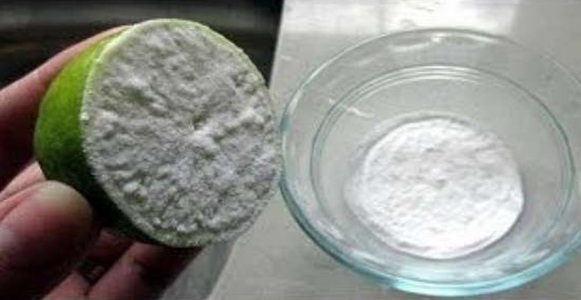 Mix one lemon juice with half cup of baking soda to make paste. Apply the paste on affected area and rub it gently. Leave it for 5 to 10 minutes, and then rinse it. You can add honey or few drops of olive or any essential oil in this paste. Mix one tsp of baking soda, one tsp of lemon juice and 2 tbsp of warm water. Using a cotton ball, apply this solution on your skin. Follow this process daily for few weeks. You can replace lemon juice with other citrus fruit like (orange, grapefruit juice, etc.). Take a bowl and add 1 tbsp of corn flour, 1 tsp of turmeric powder, 1 tsp of baking soda, 2 tbsp of lemon juice and few drops of rose water, then mix them well. Leave it for half an hour, then wash with normal water. Pat dry your skin, then apply any face moisturizer.